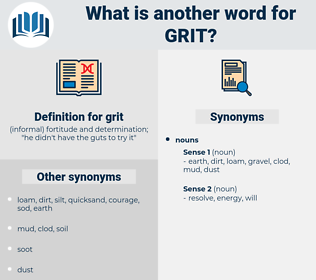 What is another word for grit? 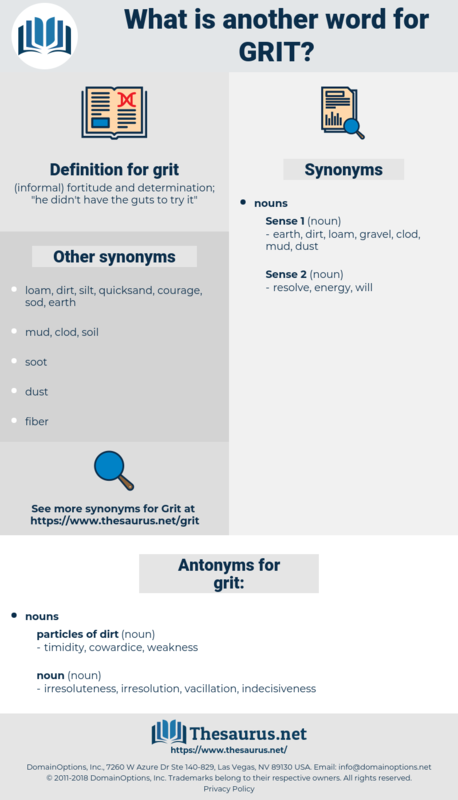 ( informal) fortitude and determination; " he didn't have the guts to try it"
stamina, courage, boldness, grain, audacity, sand, nerve, bravery. They glory in your grit, and everybody is talking about you. She's the one that rooms across the hall and tried to get in when they were having the time - she's got more grit than the others.